Our new Parking Ambassadors are visible on City streets (look for their red shirts or jackets) and available to assist you with making change for our Pay-and-Display Stations, providing directions, answering your questions and more. You have lots of parking choices in Hartford – and not just parking lots. 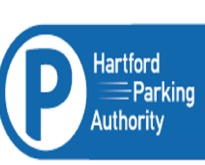 HPA can help you find a surface lot, an on-street space, or an indoor garage that’s convenient to where you want to go, including Hartford attractions and special parking promotions.